We had the chance to have a chat with Daniel Elston, founder of the Indie Elston Studios, currently working on the promising tactical turn-based game Guile & Glory: Firstborn. Growing up with games like Shining Force, Vandal Hearts and Brigandine, he fell in love at an early age with tactical turn-based games, a genre that still takes the first place in his heart. His path into game development was a bit unusual as he was studying general arts degree at Monash University until the love for video games took over and pushed Daniel to enter the Academy of Interactive Entertainment in Melbourne. And from that moment on, Daniel has been devoting himself entirely to the development of video games! Hi Daniel, thank you for this interview. 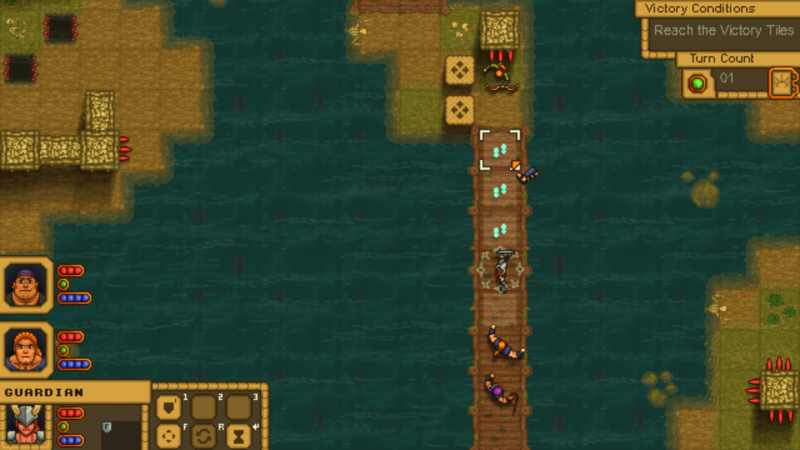 I played your tactical turn-based game demo and having a lot of fun. 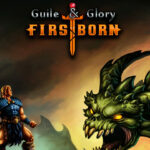 For those who do not know Guile & Glory: Firstborn yet, how would you define it? Hi Marcello! Thank you for taking the time to talk to us. We are delighted to be included on your site! 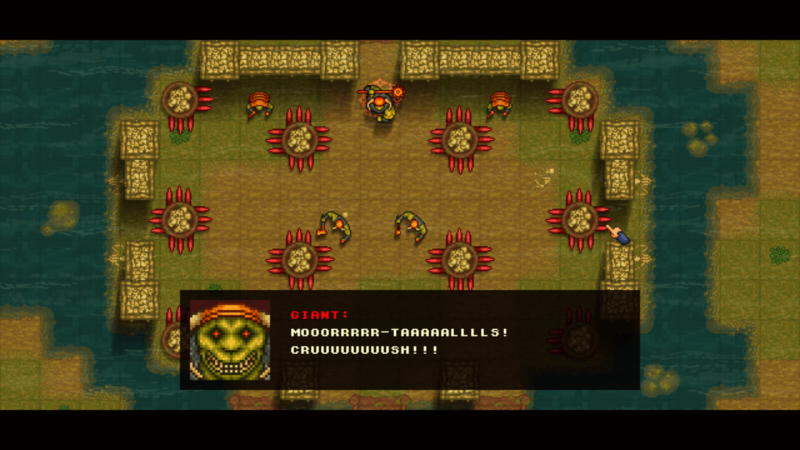 In your last feature on the project, you called Guile & Glory: Firstborn a mix of Into The Breach and Golden Axe, and I think that describes the game really well. 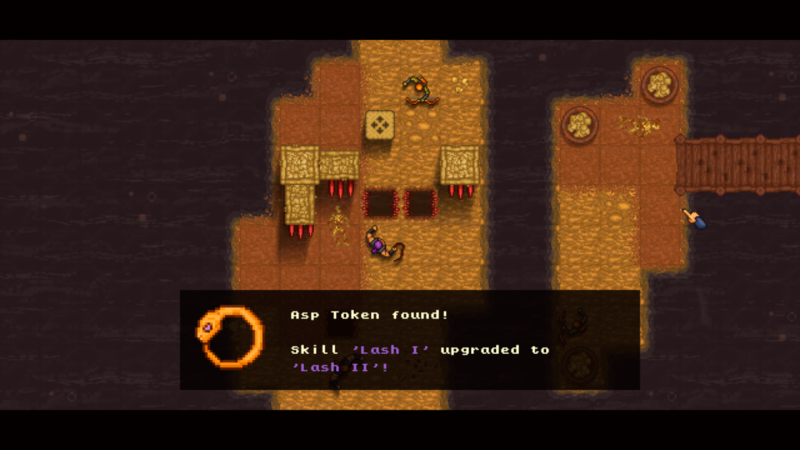 At its core, Guile & Glory: Firstborn is a turn-based tactical RPG with puzzle-inspired combat quite similar to Into The Breach, set in a strange and savage world of swords and sorcery inspired by the delightfully overblown fantasy of the ‘80s and ’90s. Players lead a party of unlikely heroes from humble beginnings to the heights of power as they fight to save humanity from a legion of immortals in glorious, arcade-inspired tactical battles. You took some inspiration from Golden Axe. As a child, I loved that game too and its high level of difficulty. G & G: F will be a difficult game too? There will be some sort of roguelike elements? We definitely took quite a bit of inspiration from Golden Axe! The series in one of my all-time favorites, and I still play it on Steam when I get the chance. We also love the challenge of Golden Axe, and we hope to capture some of that in Guile & Glory: Firstborn, but we also want to make sure the barrier to entry is as low as possible without compromising the core design principles of the game. Our goal is for G&G:F to be a game that’s pretty easy to pick up, but much more difficult (and rewarding) to master. Our aim is to balance the game so that a player who is relatively familiar with turn-based games should find completing the main story challenging, but not overwhelmingly so. Some of the optional objectives and side missions, though, will be downright brutal and require a player to have an excellent understanding of the game mechanics to even stand a chance. G&G:F will be a title focused on gameplay and its deep mechanics. But what about its background story and lore, will be also relevant elements? We always want gameplay to be front-and-center in Guile & Glory, but we have also spent a lot of time building our world and lore to make sure that there is a broader context to all the glorious tactical violence. At this stage, we haven’t officially announced too much about our story, but I can give you a general sense of what’s going on in the game. Guile & Glory: Firstborn takes place in a strange fantasy world, where humanity is fighting a losing battle against an ancient race of immortals that cannot be harmed by human hands or blades. Our heroes are three individuals who have discovered a loophole, which is that the Firstborn can still be killed by natural phenomena such as cliffs, boiling tar, and fanged mouths that open in the ground to devour unwary travelers. 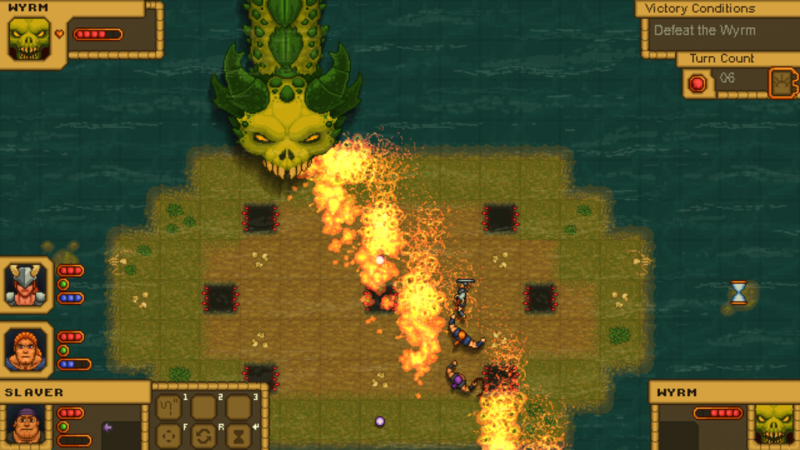 This forms the basis of our environmental combat, with player characters pushing, pulling and maneuvering enemies into various hazards, or even into the attacks of other enemies. That’s the other neat part – the Firstborn can still kill each other. As for the reasons behind the strange rules of our fantasy world, I can’t really say. There is an answer, but our heroes don’t know it yet, and neither will players going in for the first time. Unraveling the mysteries of Guile & Glory’s world will be a big part of the story, but a player who really wants to understand it all will also need to scour the world for new lorebook entries, and piece together ancient secrets from monster descriptions and ancient carvings. Tell me secrets, Daniel! Can I know how lengthy will the main campaign be if there are any side quests and replayability? I always love a chance to share a few secrets about the game! Giving an exact length for the main campaign is a bit of a tricky one since a player’s skill plays a huge role in how quickly they can complete the game. Our goal is for the average player to be able to complete the main story for the first time in about 15 – 20 hours. I would guess that by the third playthrough, an experienced player could probably clear the game in half of that time, maybe even a little less. There will definitely be side quests, as well as optional objectives in some of the story missions. These side quests and optional objectives will range from titanic boss fights intended to push the most skilled players to their limits, to some pretty quirky stuff, like using angry harpies to help your heroes race across a map, or even controlling a band of Firstborn in a territorial dispute. These side missions will not be required to finish the main story, but they will offer interesting rewards or bits of lore that can’t be found anywhere else. With regard to replayability, all story content and side missions will be replayable, although rewards will be reduced after the first time the level is completed. Replaying content to gain extra resources will never allow the heroes to become so strong the game is a walk in the park, but it can offer a bit of an edge in a particularly tough battle. If we’re talking about replayability in terms of different story paths, or radically different experiences of the core content, that probably won’t be something we offer at launch. That being said, though, building in greater replayability is something we’d love to focus on in the future. I can’t make too many promises just yet, but I will say that we are hoping to be able to support Guile & Glory for quite a while after launch, and we have some cool stuff planned. You said that was important to you to be able to deliver the core of a game yourself so that you could at least begin prototyping your projects solo before thinking about enlisting a team. Now that you have a solid gameplay structure, how many peoples are working on G&G:F? With launch getting closer, the team has expanded quite a bit. I still handle the code and most of the design, but I now have Gabriella Lowgren, a very talented local writer and game developer, to help with the narrative and social media. We have also recently been joined by Nyra Drakae, who is currently using her remarkable pixel art skills to redo a lot of my old art and make the game far prettier than I ever could. In addition to the three of us, we have had quite a few contractors for music and sound effects, as well as a few additional art pieces. I’m always been fascinated by the world of video games and their development. Surely they are not just roses and flowers. Here, how is the life of an Indie developer really like? Any advice for other aspiring indie developers? I’ll be honest with you, independent game development is quite far from roses and flowers most of the time. Unfortunately, there’s really no way to sugarcoat how tough the job can be. The hours are brutal, and there is always such a sense of uncertainty, especially when you’re working for yourself. Despite your best efforts, a game can just not sell, and after years of grueling work and thousands of dollars invested into the project, you can get a couple of hundred sales on Steam and not even recoup the money you invested over the years you spent working on the project, to say nothing of the time. With that said, though, independent game development is also incredibly rewarding. There is no feeling quite like watching your vision for a game come to life. For me, the first time I saw people having a great time with Guile & Glory at PAX, I was hooked. Seeing people finding the same joy in games that you do, and knowing that this time it’s you who made the game that put that huge smile on their face, is an incredible feeling, and it makes all the stress and the trials and tribulations worthwhile. I always struggle trying to figure out what the best piece of advice is to offer to new developers. In some ways, the hardest part of this industry is how much you have to learn through trial and error, and by just trying stuff until you find what works for you. In that spirit, the best advice I can give aspiring indies is just to start. I’m not by any means suggesting that you quit your job, and start just making games full time, but if you’re interested in game development, there’s no harm in testing the waters a little. There are so many great tutorials and affordable, high-quality tools available today that it’s never been easier to play around with little bits here and there and figure out what you’re good at, and what parts of game development really excite you. If you find that do you like game development, and you want to start pursuing it seriously, it has never been easier to find a platform for your game and to start sharing your ideas with the world. The release is scheduled for early 2019, at what point is the development actually? What will be the next step? Right now, Guile & Glory: Firstborn is pretty close to complete in terms of gameplay mechanics. We also have a first pass on a lot of the content, and we’re almost at the stage of refining our content, balancing character progression, and making sure the UI is as smooth and intuitive as possible. Over the next few months, we’re going to be adding much more dialogue and narrative to the game, and really refining the balance of our story missions and boss fights. We’re also aiming to bring the game to Steam Early Access in February so that we can start working with our community to make sure that we’re hitting right notes in terms of balance, and just providing the most complete and entertaining experience we can at launch. In the shorter term, we’re also aiming to release one last free pre-alpha by the end of the year, to give players a taste of what to expect in Early Access and get a final round of feedback on Guile & Glory before we hit Steam. Before leaving you, just a bonus question, the latest turn-based game you’ve played or still playing? I’ve been replaying the Shining Force series lately. The games are very old now, but I loved the series as a child, and that wonderful pixel art still brings a smile to my face every time I see it. I have also been meaning to replay Into The Breach. It’s a great reference to come back to in designing content for Guile & Glory: Firstborn, and the game is also just a whole lot of fun. When I get a little bit more free time, I’m going to have to trawl through Steam and check out all the new releases as well! Our overview of the game. Indiedb website where you can download a Guile & Glory demo.